Remember the warmth of your grandma's kitchen? This French white rustic picture frame with a weathered face and gray patina will add a warm, buttery glow to your canvas art and your space. The deep profile also makes it a great choice for DIY shadowboxes and collectibles. Handcrafted by our Artisans from natural wood grown in sustainably managed forests. Custom sizes to 1/8th of an inch! I needed to frame six old delft tiles and this frame is perfect and the delft blue looks great against the yellow/gold. Beautiful gift. The workmanship, great customer service and delivery was great. Thank you so much. the "old world" look is extremely well done. the frame is well put together and super quality. the depth of the frame has a very nice look. all in all, a very nice product. Good looking unique distressed frame. I also love the sides which are as interesting as the front. My daughter and son in law brought us this print from their honeymoon in Japan. I liked being able to pick mat colors, and frame myself, without going to a shop. It looks lovely. 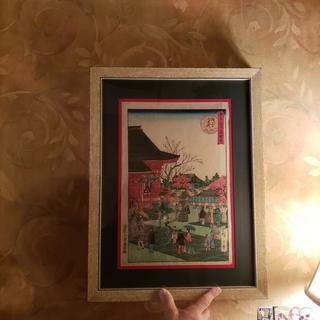 After Michael's gave me a "sale" price of $295 to make me a frame, I went to this site and ordered what turned out to be a much nicer frame at 1/3 the cost, including shipping. I couldn't be more pleased with the result....great delivery and a perfect fit for the space my son's family portrait of us now occupies! An alternative to a gold leaf frame for a more warm, antique look. I also liked the large rabbet and the narrower profile. 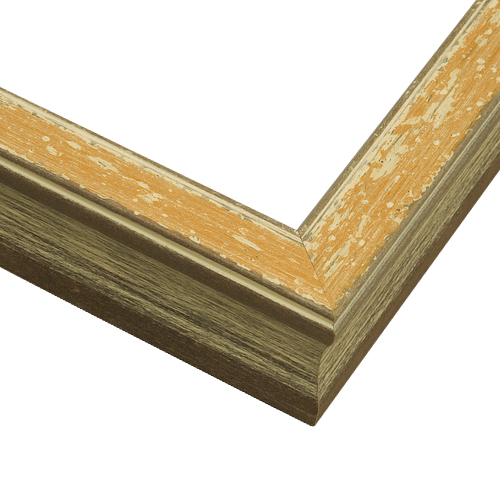 This frame provides a touch of gold without the glitz of a metallic finish. Style & variation of colors that coordinate perfectly with my living room. I believe the frame will totally complement the drawing. To accommodate a canvas stretcher bar that is 1-1/8" deep. Thanks! Had a European print that needed a non-standard frame size. Thought the French White frame would add to the character of the print. I have purchased this style before in other colors. It is a classic & substantial shape, and also a safe choice because the mottled finish works well with colorful or painted art and with all kinds of interiors. Great style and color. However, the nice depth for a large canvas was the most important. Thanks! This is an absolutely beautiful frame! I love the color and the fact that the frame isn't very wide. It won't overpower my piece. How deep is this frame? 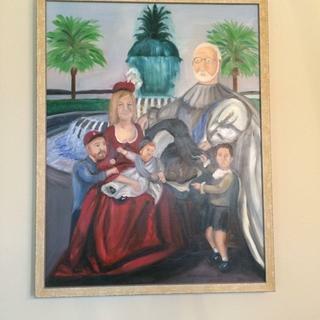 I have a stretched canvas painting I would like to frame and it is 1.5 inches deep. BEST ANSWER: The canvas that I framed was 5/8 inch deep and there was extra room for one that was deeper but I doubt that a 1.5 inch canvas would be fully enclosed. 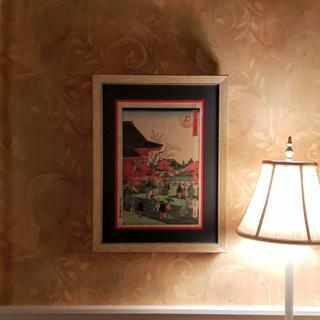 It may protrude about 1/4 of an inch but wouldn't show when the painting is hung. From the outside, the frame appeared to be about 1-1/4 to 1-1/2 inch thick. I didn't measure it. I used this frame on a canvas I painted as part of a Plein Aire event in June and the painting sold during the event so I don't have it anymore to measure. I liked the frame a lot. That should work fine. The depth all the way to the rabbet on the inside is exactly 1.5 inches, The picture they provide of the profile is accurate (under additional images). Total height of the frame profile is 1.75 inches. I love this frame, btw. Great unique finish. 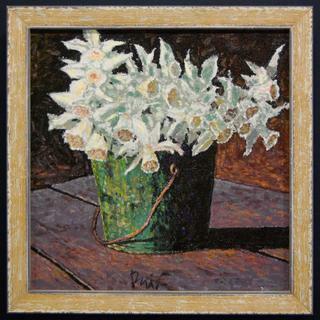 This frame has a rabbet of 1.5" so it should work perfectly for your canvas. Please do not hesitate to contact our friendly framing experts at 1-800-332-8884 if you have any additional questions. You find the depth of the frame by looking at the rabbet measurement. This one has a rabbet of 1.5 inches so it should work fine.